The No. 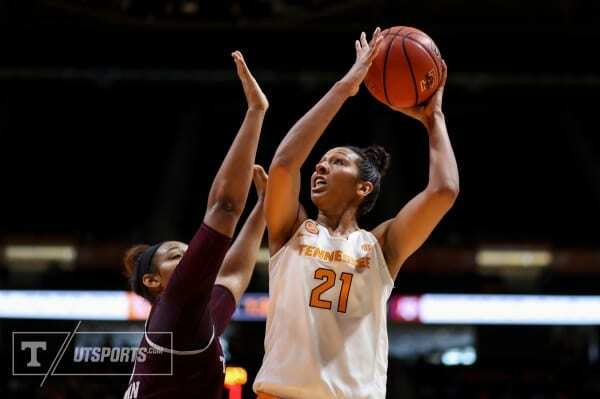 6 Tennessee Lady Vols (15-0, 3-0 SEC) travel to College Station to take on the No. 17 ranked Texas A&M Aggies (13-4, 2-1 SEC) on Wednesday night. This is the first game of a loaded four-game stretch the Lady Vols have coming up against ranked opponents. Following its contest against the Aggies, Tennessee faces No. 9 South Carolina, No. 2 Notre Dame and No. 4 Mississippi State. In their last game, the Volunteers were able to outlast the Vanderbilt Commodores after outscoring them 21-11 in the fourth quarter. Tennessee piggybacked senior center Mercedes Russell’s career-high 33 points and eight rebounds to an 86-73 win in Knoxville. However, Russell’s senior counterpart Jaime Nared struggled with 5-of-16 shooting from the field and just 15 points. Redshirt junior Cheridene Green helped cleanup where Nared struggled, with a career-high 17 points on 7-of-8 shooting from the field. The main bright spot for Tennessee in the SEC win was the relatively small number of turnovers. In the previous two games, the Lady Vols registered over 20 turnovers, including 28 against Auburn. However, Tennessee was able to limit itself to just 14 turnovers against the Commodores, and force 21 turnovers on the other end. 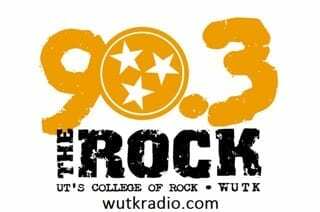 Maybe the most impressive numbers were the Lady Vols 56 points in the paint and out-rebounding Vanderbilt 42-28. Still, freshman Evina Westbrook had a horrible night after combining for 52 points in the last three games. Westbrook shot just 1-of-10 from the field, but still logged five rebounds and five assists. Although Texas A&M has four losses this season already, all four of them came against highly ranked opponents. The Aggies lost to No. 10 Oregon twice, No. 11 West Virginia and No. 4 South Carolina by two points. Texas A&M bounced back in conference play with back-to-back wins over Kentucky and Auburn. In the Aggies last contest against the Auburn Tigers, they won 82-73 behind center Khaalia Hillsman’s 31 points and 10 rebounds. The guard duo of Danni Williams and Chennedy Carter combined for 38 points and 11 rebounds. Defense was the name of the game for Texas A&M against the Tigers, as they held Auburn to just 39 percent shooting from the field and 18 percent shooting from 3-point range. The most concerning thing for the Aggies is the fact that their bench has scored just 13 points over the last three games. Texas A&M will need valuable contributions from the bench to keep up with the depth of Tennessee, and no points from the bench like they had against the Tigers won’t do. The matchup between Hillsman and Russell in the paint will be huge to determine the outcome of this game. Also, the Lady Vols will need better guard play from Westbrook and Rennia Davis to keep up with Carter and the Aggies. Texas A&M heavily relies on Carter to produce points, so if Tennessee is able to shut her down, they may have it in the bag.